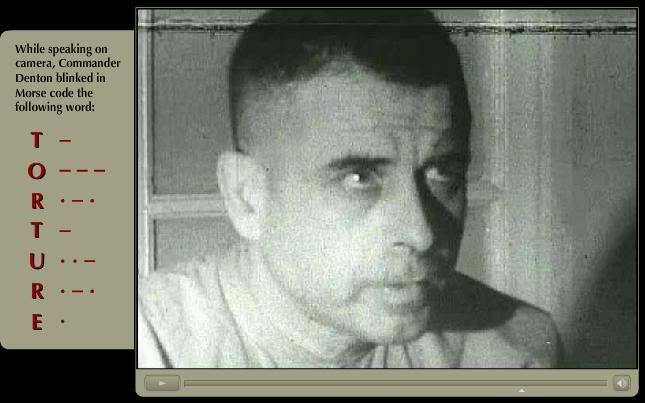 (from CBS News) – Prisoner of war Jeremiah Denton declared his loyalty to the U.S. government during a 1966 interview for what was supposed to be a propaganda film. But his enraged captors missed his more covert message: “T-O-R-T-U-R-E,” blinked into the camera in Morse code, a dispatch that would alert the U.S. military to the conditions he endured. “They beat you with fists and fan belts,” he told the Los Angeles Times in 1979. “They warmed you up and threatened you with death. Then they really got serious and gave you something called the rope trick.” The use of ropes – to cut off circulation in his limbs – left him with no feeling in his fingertips and intense muscle spasms, he said. “In the early morning hours, I prayed that I could keep my sanity until they released me. I couldn’t even give in to their demands, because there were none. It was pure revenge,” Denton wrote. The tape was widely seen, and U.S. intelligence experts had picked up the Morse Code message. But Denton theorized later that his captors likely figured it out only after he was awarded the Navy Cross – the second-highest decoration for valor – for the blinks in 1974. “He was a war hero, an honorable senator, and a family man who cared deeply about his country,” said a statement from U.S. Sen. Richard Shelby, who as a Democrat defeated Denton in 1986. Shelby switched to the GOP in 1994 and was elected to a fifth term in 2010. In later years, Denton lived in Williamsburg, Va., but he still appeared at patriotic gatherings. In November 2008, an emotional Denton watched at Battleship Memorial Park in Mobile, Ala., as a newly restored A-6 Intruder fighter/bomber – like the one he flew over North Vietnam – was rolled out in his honor. First published March 28. Reprinted here for educational purposes only. May not be reproduced on other websites without permission from CBS News. Visit the website at cbsnews .com. 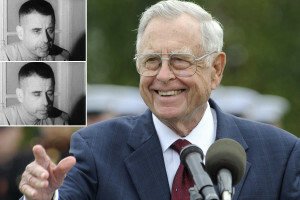 1. a) When was Jeremiah Denton captured by the North Vietnamese? b) When was he released? 2. a) In what year was Commander Denton forced to participate in an interview in what was supposed to be a propaganda film? 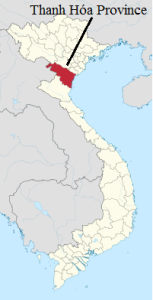 b) Why were the Vietnamese enraged by his responses? c) How did they react to his answers during the interview? 3. a) What message did Denton convey to the U.S. during his interview? b) How was he able to convey this message? c) Commander Denton was awarded the Navy Cross in 1974 (the second-highest decoration for valor) for his message. What is puzzling about this award? 4. a) What did Commander Denton say upon his release as he stepped off a plane in the Philippines? b) What is your reaction to his remarks? (astonishment, admiration, awe…etc.) Explain your answer. 5. What was significant about Commander Denton’s election to the U.S. Senate in 1980? 6. How do others describe Jeremiah Denton? Be specific. 7. Watch the news video on Commander Denton under “Resources” below. What two or three words do you think best describe this man? Explain your answer. CHALLENGE: Jeremiah Denton was a true American hero. Read more of his story through the links under “Resources.” Watch an interview he gave about his book. Share his story with at least one friend and your family. Jeremiah Denton, the Vietnam War POW who has died at age 89, uttered one of the great statements of defiance in American history. In 1965, he was shot down in his A-6 during a bombing run over North Vietnam. He became a captive for more than seven years and endured an unimaginable regime of torture, humiliation, and isolation, managing to retain his dignity and spirit even as his captors went to hideous lengths to snuff them out. Soon after his capture, a young North Vietnamese solider signaled to him to bow down and, when he refused, pressed a gun to his head so hard it created a welt. Denton quickly learned that this would be mild treatment. He was taken to Hoa Lo Prison, or the Hanoi Hilton, where he led the resistance to the North Vietnamese efforts to extract propaganda confessions from their prisoners. As Denton related in his book, When Hell Was in Session, they tried to starve one out of him. After days, he began to hallucinate, but he still refused. They took him to what was called the Meathook Room and beat him. Then, they twisted his arms with ropes and relented just enough to keep him from passing out. They rolled an iron bar onto his legs and jumped up and down on it. For hours. He agreed finally to give them a little of what they wanted, but at first his hands were too weak to write and his voice too weak to speak. He hadn’t recovered from this ordeal when the Vietnamese told him he would appear at a press conference. Denton’s words aren’t an embellishment. They were seen by millions when they were broadcast in the United States, and he almost immediately paid for them in torment so horrifying that he desperately prayed that he wouldn’t go insane.